Two wasp species, Calymmochilus dispar and Gelis apterus, have been recorded as parasitoids on ant-eating spiders in a study published in the open access journal ZooKeys. 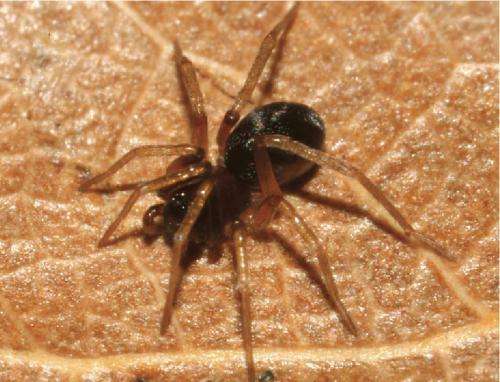 The host spider, Zodarion styliferum, belongs to the largest genus of predominantly ant-eating spiders. Their distribution area includes Europe, Asia and North Africa, significantly with at least 35 species reported for the Iberian Peninsula only, marking a record in numbers in Portugal, where this study was conducted. Available data on the biology of the host spider shows that all species of the genus Zodarion are compulsory ant eaters. What is interesting is that these spiders perform aggressive mimicry, i.e. disguise as ants to help them in their hunt and to capture their prey. These crafty hunters are often nocturnal wanderers and mainly active in twilight. During the day, these spiders remain hidden in carefully built igloo-shaped stone retreats that are attached to the underside of rocks or dead wood. The igloos provide protection against unfavourable environmental conditions and enemies such as ants. Despite these evolutionary advancements in the fight for survival, however, the Z. styliferum spider turns out to be an easy victim for wasp species in their strive for reproduction. The predatory wasp attacks during daylight when the spiders are inactive. The females of the parasitoid species attack the hosts in the shelter of their igloo, penetrating the walls with their long ovipositors. When collected for this study, the wasp larvae were attached to the abdomen of an immobilised spider juvenile, which they used as food for their own development. Apart from feeding on the juveniles, the peculiar home of the ant-eating host provides another convenience for the parasites. The larva of G. apterus makes a cocoon inside the spider igloo before pupation. 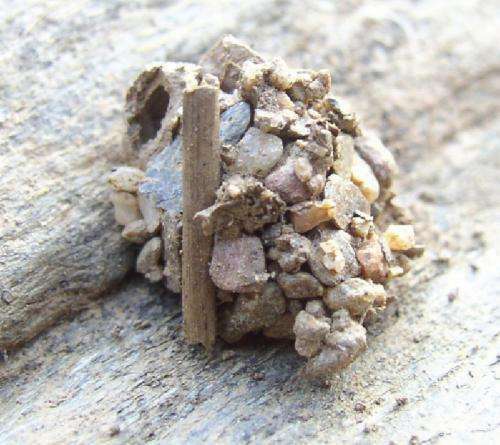 The other species (C. dispar), however, does not create a cocoon. Rather, it takes advantage of the already built spider igloo to help protect the bare larvae inside. Such parasitoid behavior is common among wasp species. The author of the original research article, Dr. Korenko from the Department of Agroecology and Biometeorology of the Czech University of Life Sciences explains: "Several groups of Hymenoptera develop on spider hosts feeding on the flesh of the spider or on its eggs. The parasitoids attack a number of spiders ranging from ground dwelling and fast moving hunters like wolf spiders to web spiders such as orb-web weavers that stay on webs during most of their life."